A24 is only willing to offer up their Chance the Rapper-led horror movie Slice to a small slice of the country, not the whole pie. In a strange move, the distributor will launch its world premiere of the film next week in Chicago, but only for a single day. 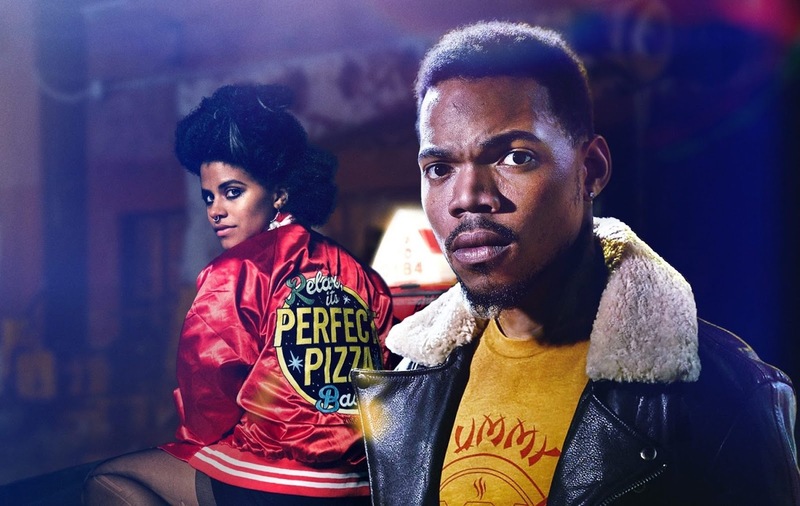 Slice will make its world premiere at a special screening at the Arclight Cinemas Chicago on September 10th 2018, followed by a Q&A with Chance the Rapper, co-stars Zazie Beetz, Paul Scheer, Rae Gray, and director Austin Vesely. If you can't make it to Chi-Town for the event, you can always buy tickets to a live simulcast held in 20 major cities throughout the country. For a list of theaters you can go to Slice.Movie. Here in the DMV you can check the film out at the Regal Majestic in Silver Spring, MD. This is an odd release strategy by A24, or at least it looks that way on the surface. Slice was supposed to open last year after the mysterious first teaser dropped. Then it was nearly a full year later that the second full trailer hit, and it was still hard to tell exactly what we were looking at. The story follows a pair of pizza delivery drivers, one hiding a supernatural secret, trying to survive a serial killer that has targeted other delivery boys. It promises lots of over-the-top violence and comedy, but looks pretty sloppy and stitched together. Maybe A24 know more than we do, and this is a brilliant plan to drum up some word-of-mouth buzz. We'll find out soon enough. Slice currently does not have a wide theatrical release date.